Staying cool and comfortable throughout the summer months is essential for residents of River Oaks, Texas, as temperatures in our area often reach the high 90s or worse during July and August. Keeping your air conditioning system operating at peak efficiency can help to reduce your utility bills and can provide you with added peace of mind on hot, humid days. At All Out A/C & Heating, we specialize in fast response times and the most effective solutions to keep your home cool and comfortable even during Texas heat waves. Our team of River Oaks air conditioning repair experts can deliver the right solutions to ensure that your AC system performs as expected all season long. Air conditioning system breakdowns can have a devastating effect on indoor comfort and can even present health risks for vulnerable members of your family. All Out A/C & Heating can provide you with cost-effective solutions for your River Oaks AC repair needs. We offer 24-hour emergency services to get your cooling system back up and running quickly and back up the work we do with a 100 percent satisfaction guarantee. From simple tune-ups to extensive repairs and replacements, our technicians will provide you with honest advice and top-quality workmanship to get the job done right the first time. Our indoor air quality solutions can remove particulate matter, microorganisms and pollutants before they enter your home. This can significantly reduce the health risks to people with allergies, asthma and other respiratory conditions and can provide a safer and more breathable indoor atmosphere for your entire family. 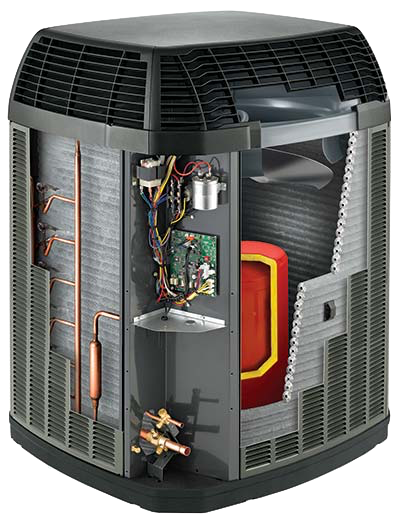 All Out A/C & Heating also sells, installs and services high-efficiency replacement HVAC systems designed to keep your whole house comfortable while reducing your utility bills and saving you money over the life of the system. The hot, humid summers typical of River Oaks make it an ideal location for heat pump installations that can reduce your carbon footprint while helping you keep your cool even on the hottest days. At All Out A/C & Heating, our team will work with you to find the most cost-effective and reliable solutions for all your heating and cooling needs. If you need fast, dependable repairs for your home HVAC system, give our River Oaks air conditioning repair team a call at 281-238-9292. We will deliver the best solutions and the most courteous and professional customer service in the industry. At All Out A/C & Heating, we go all out to ensure your comfort during every season of the year.